What is an Auto Group in Web Jetadmin? Auto Groups are filtering mechanism in Web jetadmin to automatically search and group together printers with specific setting or condition for further processing. Auto Groups could be used for printer maintenance, reporting and automating various tasks. 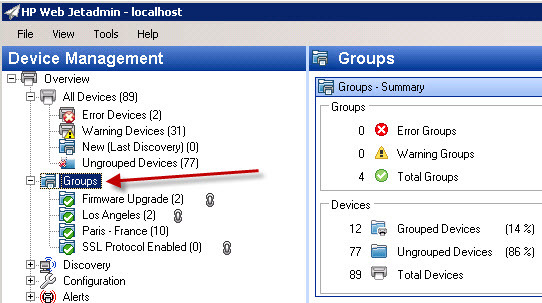 Auto and Manual Groups are located under groups in Web Jetadmin Application Client. How does Web Jetadmin Auto Group work? © 2018 techzeus.com. All rights reserved.